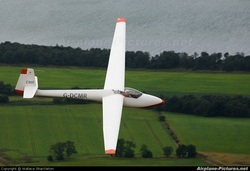 The Glasflugel Libelle 201b is without doubt the most beautiful glider in the world. Ever. Constructed over 40 years ago, they are an early all glass fibre glider yet the fuselage uses a ribbed internal structure (similar to wooden gliders) which makes it very strong. The gel coat is made of old asteroids and lasts for ever. 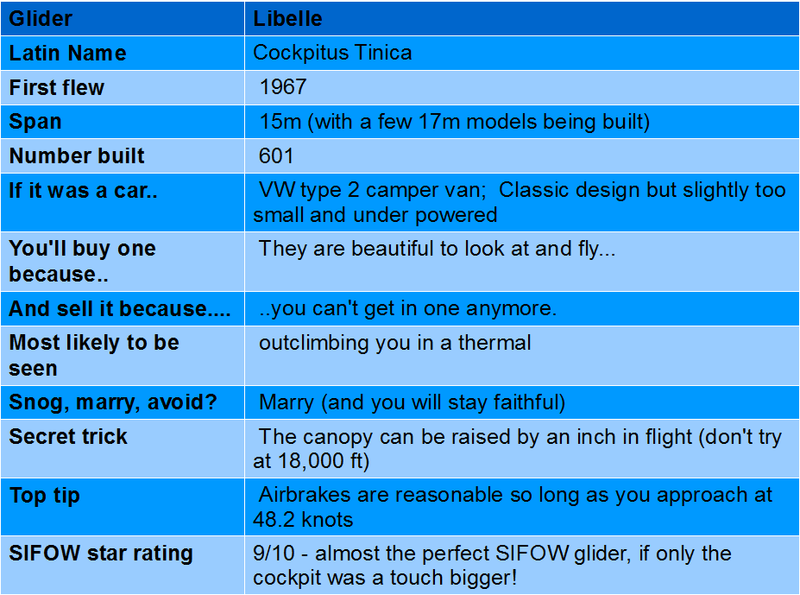 Libelles are a delight to fly, the only downside being the 'popping' sound made by 'pilots of a fuller figure' as they are extracted from the cockpit. With enough performance to hold their own in any handicapped competition and being just soooo easy to rig, Libelles are always sought after. A truly elegant means of flight.